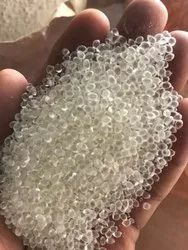 Thermoplastic elastomers (TPE), sometimes referred to as thermoplastic rubbers, are a class of copolymers or a physical mix of polymers (usually a plastic and a rubber) that consist of materials with both thermoplastic and elastomeric properties. While most elastomers are thermosets, thermoplastics are in contrast relatively easy to use in manufacturing, for example, by injection molding. Thermoplastic elastomers show advantages typical of both rubbery materials and plastic materials. The benefit of using thermoplastic elastomers is the ability to stretch to moderate elongations and return to its near original shape creating a longer life and better physical range than other materials. The principal difference between thermoset elastomers and thermoplastic elastomers is the type of cross-linking bond in their structures. In fact, crosslinking is a critical structural factor which imparts high elastic properties. Talcum Based Filler Talc improves tensile strength, translucent, anti blocking effect, imparts paper like feel, crackling sound. Ultrafine Talc is used to improve the properties of the product manufactured. 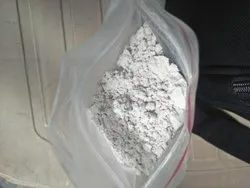 The Grades available with Polymer content ranging from 15% to 30%. 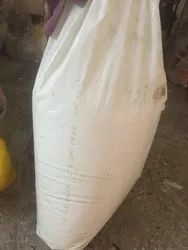 Applications Blown Film: Dosage 10% to 30% Raffia/ PP Bags: Dosage from 5% to 25% Transparent & Construction Film: Dosage 15% to 30% Blow & Injection moulding: Dosage 5% to 15% Lamination: Dosage 5% to 15% Key Advantages Reduces fibrillation and splitting tendency on tapes under mechanical stress Cost Reduction Improves printability and rigidity. Imparts slip properties Enhance tear resistance Increases the Output. 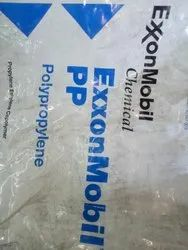 • Polypropylene Copolymer (PPCP) is a colorless, non flammable, non reactive solid with no odor. See Product Description. 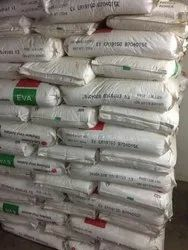 • Polypropylene Copolymer (PPCP) is usually stored and/or transported as 25 Kg Bags or 1 MT FIBC jumbo Bags. 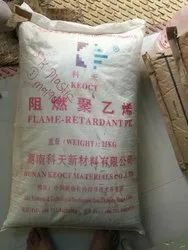 It is used in raw material for plastic Processing industry. 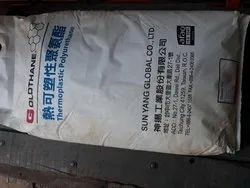 • Polypropylene Copolymer (PPCP) is a non hazardous material and it’s over exposure by short term or long term inhalation does not cause any harmful health effect. See Health Information. • RIL supports the sale of PPCP for use of plastics in Processing Industry only in industrial applications. Please provide adequate ventilation when using the material and follow the principals of good occupational hygiene. See Exposure Potential. 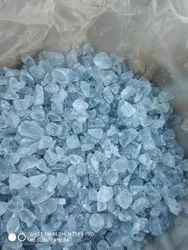 • Not classified as dangerous for supply and use. See Physical Hazard Information. • Release of dust to environment does not pose any threat. See Environmental Information.